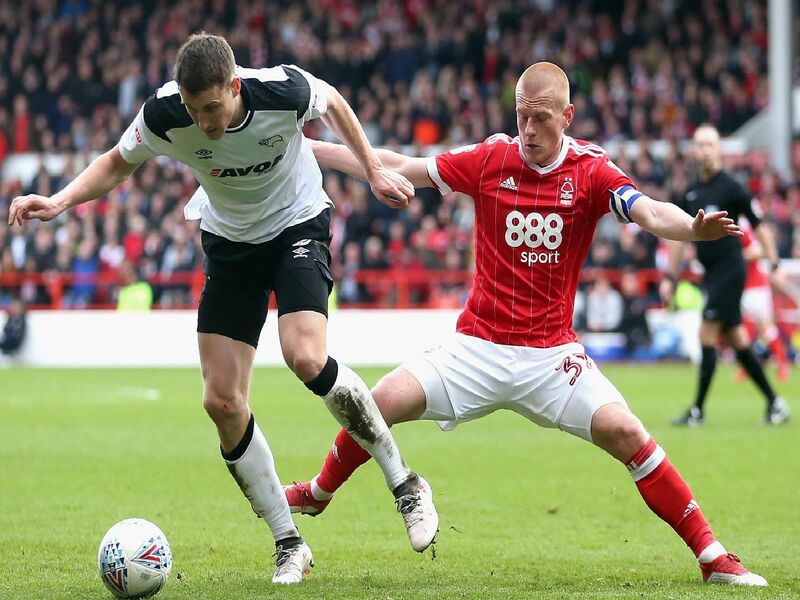 Nottingham Forest host Derby County tonight in the Sky Bet Championship. Here, we look back at some fixtures between the sides at the City Ground over the last ten years. Tom Huddlestone sees red last season. Forest celebrate Dani Pinillos's late equaliser in 2017. Derby celebrate a goal in the 2017 fixture. Henri Lansbury and Jonny Williams hail a win for Forest in 2015.